This weekend we went to a wedding in PA (shoutout to Leslie & Eric!). On the way there I saw 2 things that you do not typically see on the road. Especially on 495. 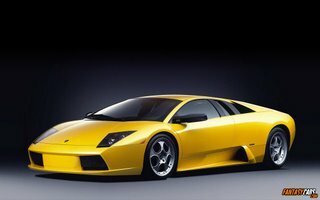 The first being a Lamboghini Murcielago. I've always loved the Lamborghini "jack knife" style doors. I think it would be great if more cars went that way. We would no longer have to worry about banging a car door into the car next to ours. This is actually the same color of car I saw on the road. Shayna asked why exactly, do sports cars come in such garish colors. I think the first part of the answer is because they are European. The second part is that if you are going to spend $300,000+ on a car, you want people to be able to see if from space. The kicker is that this car was actually on a tow truck. Hope the owner got the extended warranty.. 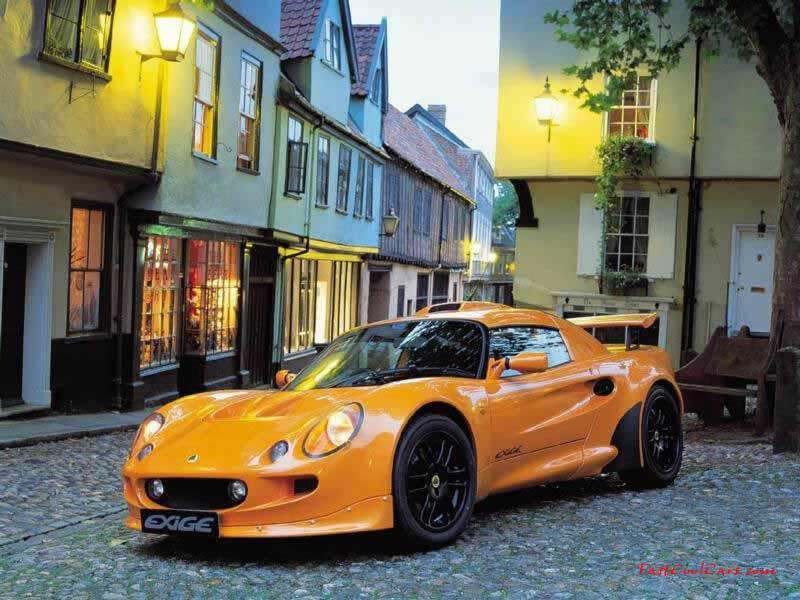 The Lotus Exige (actual color to the left). I had heard of Lotus and played a racing game based on them, but I didn't know much about them. I had thought they were the Asian equivalent of a Lamborghini. Turns out they are the British equivalent of a Corvette. I'm not normally a car guy. But I appreciate fine craftsmanship. I appreciate it more when these superfast cars are going 10 mph with me on 495. 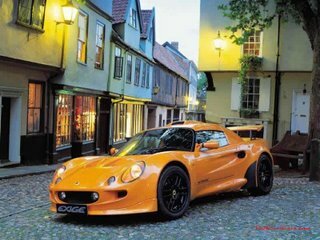 I had seen a Lamboghini Murcielago before, and thought it was pretty cool, but this was the first time I had ever seen the Lotus Exige and it is AWESOME. I want that car now. Maybe Mike can get the family-friendly stationwagon when his car dies and I can get a sports car to replace my car. That would be so awesome,lol.